Calling Ron Paul a racist is a tired old claim that was put to rest years ago. Some people with the agenda of smearing an honest candidate have no other recourse and it is nothing more than a cry of desperation because they have nothing else to say. Let's take a look at how this all originally came about. In 2008, Jamie Kirchick, assistant editor of The New Republic brought up some old newsletter that Ron Paul had published. 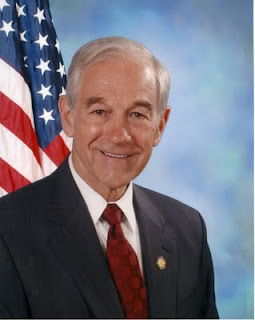 He made claims that Ron Paul is a racist, a homophobe and antisemitic. What was Jamie Kirchick's motivation for doing this? It appears that the real reason he brought this up was to intentionally rile up Ron Paul supporters. "Anyways, I don’t think Ron Paul is a homophobe; I'm just cynical and enjoy getting supporters of political candidates riled up. If you were a Giuliani guy I’d have called him a fascist. But I must say, the Ron Paul supporters are the most enthusiastic of the bunch!" In his email, Kirchick even admits he doesn't believe Ron Paul is a homophobe. So you can see that he does not even believe the story he propagated and says he accuses political candidates of things to rile up their supporters. "I bought my first copy of the men's fashion magazine GQ to read Michael Kelly's article on Sen. Teddy Kennedy (D-MA)." Now fast forward to 2007 and we see in a New York Times article that Ron Paul did not seem to know what GQ magazine was. "GQ wants to profile you on Thursday," Benton continues. "I think it’s worth doing." "GQ. It’s a men’s magazine." "Don't know much about that," Paul says. In conclusion, Ron Paul is not a racist. The letters were his responsibility as a publisher, but he did not read the content of the letters in question and he did not write them. Nobody has ever stepped forward and claimed Ron Paul has ever said or done anything racist. If there is not at least 2 witnesses to establish a matter, then it just isn't true. Even the most uneducated people that lived thousands of years ago understood this principle.